How to ensure your Wizarding World of Harry Potter visit is a success! 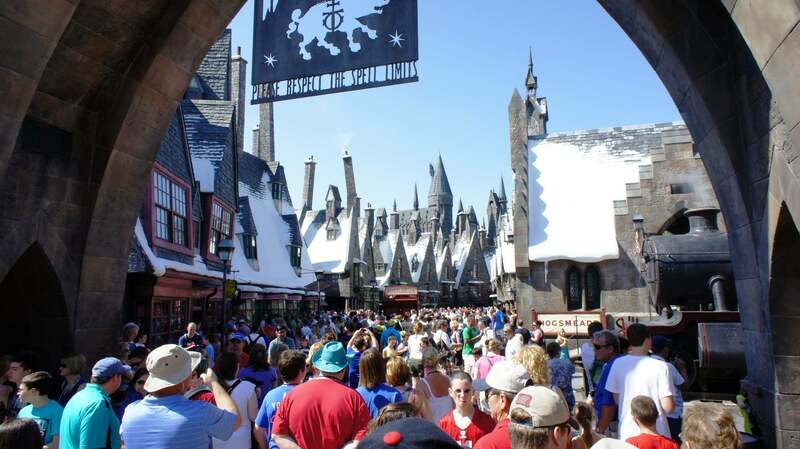 Home OI Universal Center Insider’s guide to the Wizarding World of Harry Potter How to ensure your trip to The Wizarding World of Harry Potter is a success! 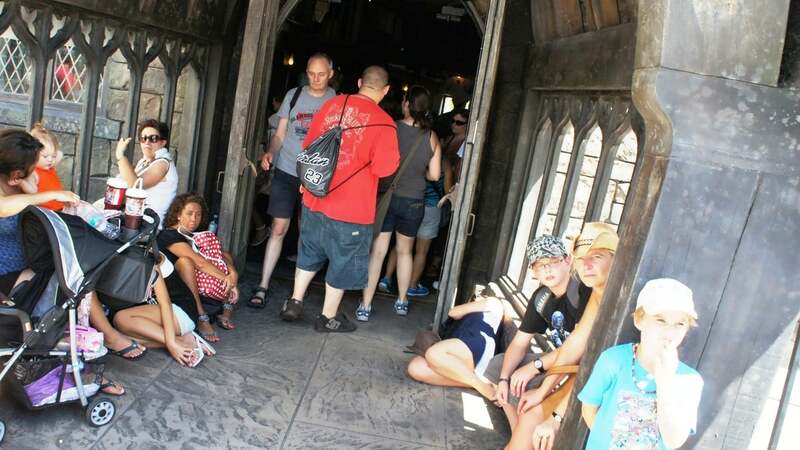 We can’t tell you how many times we’ve heard from guests that they just spent five hours inside The Wizarding World of Harry Potter, got completely exhausted battling the crowds, only made it on to two rides, and never even got to go to the shops. Not only is this a terrible experience inside the most impressive theme park lands ever built, but since these guests were burnt out upon leaving, they skip the rest of Universal Studios Florida and Islands of Adventure! No wonder they are upset. Who wants to pay over $100 to ride two rides and get shoved around by crazy crowds? While Hogsmeade and Diagon Alley aren’t always packed wall-to-wall with guests, there are many times when they are. Furthermore, many people just don’t expect crowds at Universal like they do at Disney. This is a serious mistake, as lack of planning will ruin your wizarding experience – and, possibly, your whole vacation. Using our advice, a successful and positive trip to Harry’s wondrous world is practically yours! One of the important steps to successfully planning your vacation to Universal Orlando is to be very aware of what “season” you are visiting the parks in. If you haven’t already, check out our free 12-month Universal crowd calendar to learn how crowded we expect the parks to be during your visit. Also, note what the park hours will be. These two factors should greatly influence your overall approach to dealing with the crowds at the Wizarding World. Below, we will discuss the ideal setup for your visit to Universal Orlando and The Wizarding World of Harry Potter. Please be aware that the advice given on this page is based on two fundamental assumptions: (1) that fully experiencing either Hogsmeade or Diagon Alley is your primary objective at Universal Orlando; and (2) you are going when crowd levels are expected to be busy or very busy. When the Wizarding World is busy, it’s incredibly busy. It’s not uncommon for Hogsmeade’s and Diagon Alley’s most popular attractions, Harry Potter and the Forbidden Journey and Harry Potter and the Escape from Gringotts, respectively, to have wait times up to and over two hours. Coupled with the incredible lines for these rides is the incredibly cramped nature of the Wizarding World’s boutique-like shops; busy crowds in the area mean, quite literally, packed people in the stores. Many of the stores even develop their own queues and wait times during the highest crowd levels. First, you need to have Early Park Admission (EPA). This is available to any guest who stays at one of Universal Orlando’s on-site hotels or who books an Universal Orlando vacation package, whether or not the guest is staying on-site or at an Universal partner hotel (please note that you must book an Universal partner hotel as part of an Universal Orlando vacation package to receive Early Park Admission). By the time you exit Gringotts and poke your head in a few shops, it’s now late morning and you can tell the area is really starting to fill up. Instead of battling crowds just to enter stores, you leave the area and explore the rest of Universal Studios Florida. Because it’s the busy season at Universal, the parks are open until 10:00 pm. So, you plan your second visit to Diagon Alley between 7:00 pm and 10:00 pm the same day. Now your priority is the shops, shows, and dining. You step back inside Diagon Alley as the sun starts to set, and you immediately notice that the crowds are lighter than they were when you left right before noon. Most importantly, the shops are no longer filled to the brim with people. You spend the evening enjoying the atmosphere and magic of Diagon Alley. Once you’ve had your fill of Hogwarts Castle, it’s now mid-morning, and Hogsmeade is starting to fill up with guests to a point where it isn’t fun anymore to look through the shops. You exit Hogsmeade and explore the rest of Islands of Adventure. Your final visit to the Wizarding World is planned that evening, and you return to Hogsmeade around 7:00 pm to behold the spectacle and wonder of Hogsmeade in the evening. You check out all the shops and The Three Broomsticks, all of which continue to be less and less crowded as the night goes on. Finally, with just a few minutes left before park close, you find that the single-rider wait for Forbidden Journey is only 10 minutes, and you ride one more time! Note: we purposely haven’t included the Hogwarts Express in our descriptions because it has short wait times in the beginning and end of the day. To ride it, we recommend simply tacking on a visit at the end of any day. Please note that we don’t recommend riding it first thing in the morning, as that will eat away at your very precious Early Park Admission time. The example above is just one possibility. What matters here is that you plan four visits over four “early morning” or “late evening” periods. If your schedule allows it, you can do all your visits in the morning, or all your visits in the evening, or visit Hogsmeade first and Diagon Alley later – any way you want is fine. On the mornings you plan to visit, you want to be at the turnstiles an hour before the parks open to the general public. It’s a good idea to get there early, knowing that the parks usually start letting the general public in 15 to 20 minutes before the official opening time. Know that when you get to Escape from Gringotts or Forbidden Journey, the wait time may already be 45 minutes or higher. However, since you are planning on just doing one of the attractions during each of your “early morning” visits, you can at least know that you’ll be done with Wizarding World lines once the attraction you chose is over. If you cannot get EPA, plan on going through the shops during a night visit. Why? By the time you get into the Wizarding World as part of the general-public crowd during a morning visit, the shops will already be too full to browse through comfortably. On the other hand, the crowds in the shops lessen during the last two or three hours before the park closes. Not only are the overall crowd levels lower in the late evening, but, by that time, most people have already spent all the money they set aside for merchandise, so they don’t want to hang out in the stores! Starting in July 2017, Universal added Express Pass access to every single attraction within both Diagon Alley and Hogsmeade, including the Hogwarts Express. While this will certainly save you a fair bit of time – and might even allow you to hop on the Potter rides during the middle of the day, when the crowds are thickest – we still recommend following the above game plan in order to minimize your waits as much possible, particularly during the peak times of the year. After all, the various wizarding shops don’t utilize Express Passes, and walking the streets of either Hogsmeade Village or Horizont Alley will be just as congested. What is the logic behind this ideal set up? The logic behind the advice on this page is simple: The Wizarding World of Harry Potter, during busy times, can be extremely crowded from mid-morning to about the last three hours before the park closes. There is nothing stopping you from hanging out in the area all day long, and getting into any lines you want, but you will be doing so with thousands and thousands of other Harry Potter fans. The advice on this page is based on the notion that the Wizarding World is the main objective of your trip to Universal Orlando, and that you want to do everything you can to make sure it’s a positive experience, with or without Express Passes. Is it always this bad inside the Wizarding World? No, it is not. Again, use our crowd calendar to help guide your planning. In any case, our goal is to have you prepared for the worst. We’d much rather have you go in with a solid plan on how to make your way through Diagon Alley and Hogsmeade with excessive crowds, only to find out it isn’t so bad, than to give you a short do-this-do-that checklist, only to leave you without any real help as you are swallowed by Harry fans.